I would like to have a twin sister we would both be 13 her name would be Rachel she would have brown hair and hazel eyes . I would also like a big brother he would be 16 blue eyes blond hair his name would be Robert . I would want Brianna zoey Chloe Nikki and Brandon!! Please please make book 13!!! OMG!!!! i am sooo waiting for book 13!! ugh, just release it already! And Candace as a sister from full house! That’s sad. I would pick nikki or brandon but not both because that would totally ruin their relationship. That’s sad. I would choose nikki or brandon but not both because that would totally ruin their relationship. I would pick Captain Marvel (female!) for my big sister and Spongebob for my little brother. Can I make up brothers and sisters???? Ok, I have a brother (older than me). I would want 2 more brothers, one younger than me by like 1 year. And one 2 years older than me. #, for both of them! I like them so much!!!! And my sister would be Mary Seacole because she is so inspirational!! Sorry, in the brackets for Cameron Boyce there should be love hearts and it should be # for both of them! PS My celebrity crush is Cameron Boyce!! I love him so much!! I just want to have a big sister like you, Nikki!! 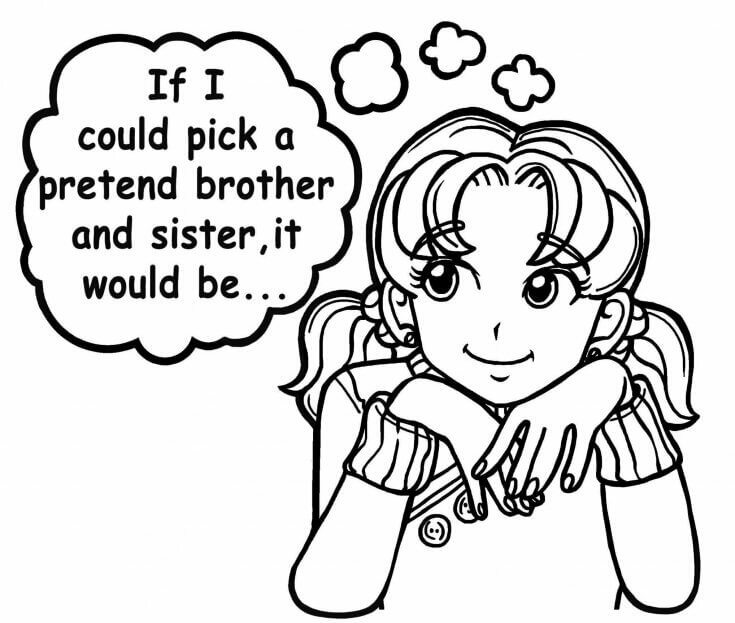 i would pick jungkook(from BTS) and chanyeol(from EXO) as my older siblings!!!! I’d have a sister who looks like my twin but is actually 8 years old (I’m 11, so she would be 4 years younger than me) (also she’s actually my imaginary sister right now) and I’ve already got a brother and a half brother (that means that mum got married, had a child, divorced, married someone else and had children) but I could do with maybe a toddler (definitely a girl) or a teenager (also a girl). I would want to have an older brother cause I really like fighting and boys like to fight with girls like in movies but unfortunately for now I’m the eldest and I have two coward sisters who I can barley fight with. I have 2 sisters and they are sometimes annoying and then sometimes cute. I think I would have a twin sister that was identical with me. for two reasons 1 it would be so fun having a twin that is identical with me , we could fool everyone 2 she would Be the same age as me so we would like the same things. I would want Mackenzie to be my sister because she has a great fashion sense and I can borrow her clothes, even though it can be tacky at times. Although having Nikki as my sister would be absolutely AWESOME, I only want to be Mackenzie’s sister so I can sabotage her clothes and stuff so she gets a taste of her own medicine (not too bad though, probably cut a few holes in her pants)! I would basically be the annoying, little sister exactly like Brianna! I would want Brandon as my brother too because he values family so much and he is really kind. Plus, I could set Nikki and Brandon on a date!